Subject: Re: Trial on Lp(a) – using high doses. From 1997 to year 2000 ( 2-3 year study) we conducted a trial using 6g/day magnesium-ascorbate, 6g Lysine and 800 iu Vitamin E and in addition flavonoids. The formulation is very similar to your suggestion and Linus Paulings. We now have a lot of data on 200+ male individuals including Lp(a) but also on atherosclerotic, plaque size progression, plod pressure, lipid profiles (cholesterol, triglyserides). You may be interested in viewing some of this data (yet unpublished) soon to be published. One main important observation was that the plaque growth progression was nearly halted to about 2-3% per year in comparison with natural progression of 15-30%. We did not find a significant reduction in Lp(a) as such but a clear reduction in Apob. There were also other benefits such as the hair started to re-grow in several individuals. The frequency of common colds were also reduced. Editors Note: This study was never published and we never heard from Dr. Kenton again. 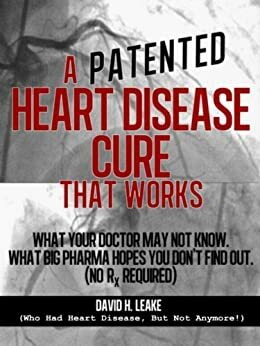 Dr. Steve Hickey investigated, and while he could not contact or locate Kenton, he did find an application for an International Patent in Dr. Kenton’s name for vitamin C, vitamin E and magnesium for heart disease. When I saw him on my recent checkup he told me to just keep doing what I am and that I wouldn’t need another checkup for two years. I’m sixty seven years old now and work mostly seven days a week. I took about twenty grams a day of vitamin c for over three years but I’m only taking ten grams a day now. Thanks Owen for this site and all that you do to help others like myself who have developed heart disease! I have been a customer for many years (circa 2005) and appreciate the good advice and service; Now having reached the age of 90 years I think it is time to cease with my C Vitamin order. So with gratitude I end my order for Cardio-c with the January 2019 one. It was articles written by you that were published in the “Townsend Letters” ten years ago, when you described the Linus Pauling protocols regarding cardio-vascular disease. In 2002, I began following Dr. Pauling’s recommendations and continue until today with the results recorded in the attached medical records. I feel indebted to you, Dr. Fonorow, for providing me with information that has enabled me to live the last ten years of my life in excellent health. Thank you for keeping Linus Pauling’s legacy alive. If the information contained in the enclosed (13 year & experience with Lp(a)) can be of benefit to your cause, you have my permission to use said information , in any manner, shape, or form, with no strings attached. Frodo wrote : It seems to me, that my post is of great interest. More than 6.000 clicks within 9 months. I hope, that it is helpful for you. Furthermore I’m sure, my Lp(a) will decline with Pauling Therapy. And I’ll report. But much more important, after my heart attack one year ago the damaged part of my heart muscle has begun to work again. No angina. No problems. And I’m fit. Every day 1 to 2 hours nordic walking, muscle training and riding a bike, although I’m 70 years old – sorry, young. And I learned it all here, if I can believe it. Just got out of the hospital. Again. Last week, had my pacemaker and one of the leads replaced. Came home, and couldn’t get my appetite back, was terribly fatigued, and a few other symptoms that didn’t go away. Back to the hospital. I’m on the Pauling Therapy. My new cardiologist only smiled condescendingly at me when I told him that (didn’t say what it was, just said “a natural program”, cause I’m tired of docs telling me how Pauling Therapy has been discredited) and I refused statins or any heart meds. My blood pressure is consistently low, but he wants me on a BP pill for beta blockers. I refused that too. So, they shoot me full of dyes and such, and perform all these tests, one a chemical stress test (which can give false positives), which says I have a blockage. So my cardiologist talks with me about doing an angioplasty and perhaps installing a stent. I tell him I don’t want any stents, but finally agree to a stent, but not a medicated one, cause I will not take Plavix for the rest of my life. I had fallen off my program after Trump got elected. Had gotten very depressed, started smoking again (am quit again now), not taking care of my health, so I was worried I’d gotten a blockage in those months. Was kicking myself for getting off my program. And two residents come in and start patiently explaining to me why I need about 5 meds when I take none, and I keep telling them I have my own natural program and I’m not taking their meds. They say, “But you’re someone who smoked a long time, a former drug addict, you don’t get enough physical activity, and your only chance of not dying by stroke or heart attack is to take these meds, blah, blah.” And it’s true, my lifestyle was a setup for heart disease. So, the doc does the angioplasty, all prepared to put in a stent, or two or three. Really he thought he was going to find a ton of blockage due to my former lifestyle. But he found zip. No blockage anywhere. I was surprised too, cause last I heard I had a 30 percent blockage in an artery, and it was gone. I was awake during the procedure and could tell he was disappointed and couldn’t believe his Big Pharma patsy eyes. Guess it takes more than six months to build up a big blockage (back on my program now). So, when I’m being discharged, another doc comes in with my discharge papers, and he says they recommend 5 medications for me, including the statins and BP pills. I say why would you want a person who is 70, takes no meds, and has no blockages to suddenly start taking 5 meds with their horrible side effects? He says it’s “prophylactic”. I say, are you kidding? I told you my natural method is what got me blockage free, and you want to put me on meds? He got out of my room fast. Not once did any of them say, “Damn, what is this natural method of yours that has rendered a person with your history free of all blockage?” But no, all they could think to say was I still need their meds. Before the procedure, my cardiologist kept telling me that he had 30 years experience in cardiology and he knew what is best for me. I didn’t tell him I had 70 years of experience as my mother’s (alternative healing pioneer) daughter. Not sure why I felt so bad last week, but now, I feel a lot better. I just started taking Ascorbic9 from Tower, because I was having trouble with all those pills. Man, that powder makes it so easy to do the program. Thank you! You maybe interested in the following information. I have now been taking Pauling’s therapy [Vitamin C/Lysine] for a period of two years. The amount taken has been 3000mg ea. in total each day, split morning & evening. I may have missed on a couple of occasions. These quantities are listed as a preventive dose. Prior to taking Linus Pauling’s therapy my condition was as follows. I was admitted to Hospital with a stroke 24/004/03. The only damage I suffered was loss of eyesight in the left eye. Following my discharge from hospital I was subjected to a Carotid angiogram which proved unsuccessful due to the plague within the arteries. The left artery was down to a trickle with atherosclerosis spreading deeper into my cranium. My right artery was also infected with atherosclerosis . At this stage I decided on a second opinion. The results were the same. I was virtually told that it was only a matter of time. The only one request to my vascular surgeon would they monitor by scan the effect . This they agreed. I have been scanned every six months. Eighteen months has passed and no comment has been made by the Vascular surgeon. In June 22/6/05 I had my last scan. The result is the left Carotid artery according to the Vascular surgeon has closed down. The atherosclerosis beyond the blockage, which was entering deeper into my cranium has disappeared, in other words, the artery is clear. My right artery is also clear. The Vascular surgeon is staggered. Maybe had I gone onto the therapeutic quantities, my left artery may have cleared the plaque blocking it? However this is very good news. My next scan is in December so I am hoping for just as good news. will keep you posted on the next scan. We are using your product at our clinic and having demonstrated clinical success in reversing atherosclerosis (dosage is in range of 5000-10000 mg/ day). We are confirming the results with a capillary retinopathy diagnostic. Our patients are going to require 2-4 containers of cardio-c per month. We would like to offer it for purchase thru our office. It’s been awhile since I posted in this thread and I thought it was time to post again here and update since I had an eye test yesterday. I explained the work of Sydney Bush to the woman who did my eye test and asked her if she’d been trained to look for plaque build up in the eyes. She said she had and that she was aware it could be a problem. She gives eye exams at a local VA hospital and when she sees a plaque build up in patients eyes she notifies the doctors and they check the patients carotid arteries for blockages. In my previous test the fellow who did the test after my bypass surgery in February of 2015 said he could see plaque in my eyes. Yesterday the lady doing my test couldn’t see any sign of plaque . I started the paulingtherapy shortly after my bypass surgery and have been on it every day since. I take twenty grams a day of vitamin c and I think most of the supplements Owen recommends in his book. I recently had a checkup with my cardiologist and they did an EKG that was normal. I don’t have any pain or problems and I don’t take any prescription medicine but I do take my supplements. My blood pressure is also normal and my cholesterol level has come down using Niacin. I’m active and working pretty much seven days a week with no shortness of breath or pain. I believe the paulingtherapy is the reason I’ve gotten along so well in my recovery from my bypass surgery. I don’t think that cholesterol is the bad guy…I think it is very low vitamin C levels ..I had significant narrowing of mt superior mesenteric artery ..I’m on Heart Tech 2 jars a month from tower labs. And it has cleared all my symptoms.I’m going to have a repeat test in march to look at the Arteries again but I feel great no angina pan and no gut pain ..and this went away after only a week on the Heart Tech..
Hi There, Well I too am glad I found this site. My angina at this moment is gone as reported before. Somehow my body seems content with 6 or 9 grams of vitamin C plus all other vitamins I take. I only use Vitamin C powder I pick up locally and take 6 grams of Lysine and 2 grams of proline. I walk nearly every day around a park nearby. Also started my dancing again two nights a week. Plus able to cut my own grass and some gardening as well. So yes I say Thank You to Linus Pauling for his work with Vitamin C. Take care all. Miracle of your web site.. I would just like to share with you the true miracle of your website. After 5 years of personal research in trying to cure myself and with several readings and re-readings of your website, especially Stone’s papers, I was able to cure my fibromyalgia, chronic fatigue, severe circulatory problems, arthritis, and even a horrific swollen check with a toothache and bleeding gums. I have also had a heart attack and hemolytic urea syndrome years ago. After listening to a speech by Dr. Levy in which he said “he had a hunch” that even chronic diseases could be cured if vit c was administered long enough and strong enough. So that is what I did. I started out slowly with oral supplements but couldn’t tolerate it with bowels. So I bought his Lipo C and took 5-15 packets daily over the course of 7 days and suddenly nearly all my horrific ailments are gone. I even began sleeping at night!! I use to read blogs like this and refused to believe that they could be true. In the end, the research papers you have published is what finally clinched it. I even diagnosed my own subclinical signs of scurvy with your website. I am going to go to every one of my 200 doctors and give them copies of all this if it’s ok. They have a lot of explaining to do! I also have at least 20 years of my past medical records of these ailments that I had to retrieve to file for disability. God Bless you all. I am soooo happy. I just want to say thank you, Mr Fonorow. Cardio C saved my life, all my arteries were clogged the doctors didn’t know how I was still alive. To make a long story short I’ve never been healthier, with total blood flow. God bless you and Dr. Pauling. he was more than a genius. Have 3 good reports so far with Cardio-C, also, one of which is truly amazing with hospital angiogram as proof, suspect clogged arteries prescribed various medication. After 2.5 months of cardio c 2 scoops 3 times per day resulted in the doctors baffled as to why the heart of this patient was ‘clear’!!! Cardio c seems to really benefit one person with adrenal fatigue, much more do than liposomal vitamin C. In fact it appears that cardio c in this case is the only firm that helps. Very rapid results, within 36 hours of taking 2 scoops 3 times per day resulted in extraordinary results. No pain, no swelling, no aching. This was stopped and started several times to establish the connection with vit c. Each time cardio c was stopped for 24 hours the pains came back. When reinstated again, always after 36 hours, the previous effects appeared, being maintained after 48 hrs. We will continue to use all 3 products regularly. Thank you Owen for your fast response. I am buying Cardio-C for both myself, my wife and my brother. In Sept. 2007 I had to get a stent in my heart. I had one vein plugged 99% one 40% and one 60%. They put a stent in the 99% one, didn’t do anything for the other two. In 2008, one year later they did a Cath. and found the other two clear after taking cardio-c for one year. Also in March of 2007 My brother had a four way bypass. I finally got him taking cardio-c also. p.s. Sure You can use my name. You can add IF YOU WANT TO, That I am 71 and my brother is 69 years old. Aug 2014: Lp(a) Zero! Plus Horrible Night Vision Has Miraculously Improved. I am 51 years old and my total cholesterol has run between 300 – 400 (mg/dl) since my twenties. After almost being murdered with 80mg. a day of Lipitor in 2004-2005, I sought an alternative and began the Pauling Therapy. 6-7 months later I noticed my horrible night vision had miraculously cleared up. Searching for the reason, I found it linked to the Pauling Therapy. Prior to this I was always told at my eye exams of the cholesterol deposits in my eyes, and to speak to my doctor if I hadn’t already done so. Since that time I now always ask about it during my eye exams. Not once has anyone seen any more deposits, not even the retinal specialist who was treating me for another condition in 2010 – 11. My primary doctor for years has tried to get me back on statins and made endless fun of Linus Pauling. I recently had my first VAP test, ordered by a diabetic/lipid “expert” at my request. My total number was 298. My HDL was low as usual, 22. My lp(a) was 0. Yes, zero. The expert tried to ignore it. I told him we could talk about it at my next appointment, as I could see his agitation with the result, and probable his lack of understanding. You should have seen the look on my primary’s face yesterday when I showed him the results! He immediately wanted to know exactly what I was taking and how in the world did this work. I ended by noting that I had been correct listening to that “dead guy”, as he refers to Pauling, all these years. Dec, 2013 – What a wonderful result has been achieved using Cardio-C.
What a wonderful result has been achieved using Cardio-C.
Having undergone a heart cath., by-pass surgery and subsequent heart cath., i was informed the by-pass was “not working” and my LAD was still 90% blocked. Unfortunately, I just don’t have good genetics. Fortunately, I have a good BMI at 22 and have long been a proponent of natural medicine and after research came across a program by Dr. Daniel Cobb for reversing CAD. This in turn led me to your web site and the Cardio-C product. Dr. Cobb’s program included other supplements as well as Vitamin C. At first, a local natural health store’s Vit. C product was used. However, results were mediocre at best. After using Cardio-C, there has been quite a remarkable turn-around in my heart health. In fact, today we had 8 inches of snow and I was able to shovel walks and driveway. We live in a rural area and there is quite a bit of walkway and driveway. All this work and no heart pain. Absolutely amazing!! This is the guy whose life 11 months ago was on a Down Hill Spiral….l went to the Doctor for routine check on Aug 30 and he was amazed at the progress of healing the heart conditions I was told I have. Today I can report great news the journey is happening the reversal is happening and much is given to the Lypo Spheric product I have taken since last November and I have done 5 packages a day also taking the Lypo Spheric GSH in conjunction with the Vit C. Blood pressure is normal, my pacer battery life is at 6 years and having minor adjustments and the Tech said this is due to stable condition, and now even the Cardo Guy has started to believe the Vit C is working. However, there is a bigger piece that even moves over Vit C and that is my relationship with God and the miracle He has made upon my Temple, body and spirit. I know that we humans tend to go there and I do also only to proclaim that the healing has come about not because of the Vit C but by the Hand of Jesus, Holy Spirit and God is deserving of all the Glory. The parting words from my doctor on Thursday was “I can’t believe how good of shape your body is now” all the pressure points were normal, all the circulation normal, B P normal and then I was rewarded again by reduction in medication. I also lost about 15 pounds of unnecessary weight, thyroid is almost back to normal level and yes I am grateful, however, I am grateful to the Glory of God and know I have been Redeemed, Saved given a new opportunity. I have enrolled in college at 70 years working on 71 and studying Ministry, holding down two jobs and loving every minute of life. Breaking – NFAIM.org Chairman and former Congressman Berk Bedell “on death bed” Recovers on Linus Pauling’s Therapy for Heart Disease. Former congressman Berkley Bedell is Chairman of the Foundation for Alternative and Integrative Medicine (FAIM.org). While in congress, he was a co-sponsor of the Office of Alternative Medicine at the National Institutes of health. He is and has been a great friend of alternative medicine. I have been taking Cardio-C on a daily basis for about the past five years; during which time I have not been ill at any time, summer or winter, with so much as a cold. I take a number of other supplements as well, but Cardio-C is the foundation of my program. Thank you for your powerful product. I am a 62 year old radiologist who was just saved by a stent for an acute occlusion of the LAD, similar to David Leake’s experience but I now realize how high dose Vitamin C with lysine and proline can reverse disease over time. I have some disease involving the obtuse marginal, but now that I understand how collagen is formed I can reverse it. I believe in Linus Pauling and you and there are many others to pass the baton, but I am particularly outraged at what has been going on to suppress the truth about the toxic effects of highly refined vegetables oils (see The Big Fat Surprise…..by Nina Teicholz, I am still reading it and do not know if vitamin C plays a role, since her excellent proof is primarily about how this CVD epidemic could have been prevented by researchers being strictly objective and not capable of being bought off). Everything falls into place once it is understood that high saturated fat low carbohydrate diets dramatically decease the amount of glucose that can competently inhibit what little Vitamin C may be in the diet (not enough). Without this overload of glucose on a constant basis, thanks to the failed diet heart theory, the incidence of CVD would be less, but not like having a lot more Vitamin C around. It did not escape me that none of the animals that make vitamin C get coronary heart disease, but hearts are quite similar between species. That is, the coronary arteries are all subjected to the same types of mechanical forces not generally found in peripheral arteries. To me that means that they must be getting early lesions BUT are able to heal them properly because of abundant vitamin C.
A Patented Heart Disease Cure That Works!. I am the man living in Australia, who emptied the credit card account, before Tower Laboratories could withdraw the amount to pay my first shipment. Hope you can remember me. All was paid anyway few days later. I send just this at the moment, and in future some more detailed feedback about Vitamin C.
Tower’s CARDIO ADE IS WORKING WONDERS ON MYSELF! And I took just a couple of jars. I intend to give as gift almost 20 of your books to my italian relatives and friends. Do you have such copies of “Practicing medicine without a licence” in Italian language? I have been using the Cardio-C Vitamin C now for two years, ever since my stroke in May of 2009. I am now 85. I had almost no strength after the stroke and was using both coumadin and ameroderone to prevent an arrythmia and blood clot which would lead to another stroke. I had a catheter ablation some time before the stroke which was designed to prevent atrial fibrillation which I had a couple of times before and was treated with electrical shock. (This operation has had the lasting effect of making my respond rather slowly to increase demand on it) I had also a bout with a “flutter” which is somewhere between arrythmia and fibrillation. So with all this involved, I read Linus Pauling’s work on Vitamin C and ordered your product which has done wonders for me. I gradually gained the strength in my heart to the point that this past year I have logged out 7 loads of timber from my property by myself with the minimal equipment that I have. That’s over 21,000 board feet of wood. One thing I was left with after the stroke or as a result of too much ameroderone was a loss of balance. I have to be very careful in walking to keep my balance. It doesn’t affect my strength at all. A neurologist pretty well verified that the ameroderone dosage was too great as it is a very potent drug. I have cut way down on it and have no arrythmia problem. Have you ever had anyone cut down on their Vit C intake who found they didn’t need so much? Is it possible to take too much? Dr. Paling seemed to think not as it appears he was taking 18 grams a day. I would appreciate any input you might have along this line . I thought I would take a minute and tell you my story. Two years back I was feeling really bad. By January of 2010 I was in the hospital and had 3 heart stents. In addition I was told I had 3 more smaller blockages. When my cardiologist came in to talk to me after the procedure he told me I was now “their” heart patient for the rest of my life. That kind of pushed me the wrong way as I have always been a man who did not like being “owned”. That is when I found the Pauling therapy. When I began taking the vitamin C, l-lysine and l-proline my blood pressure was 140 over 90 even while taking 3 different meds. 6 weeks later my BP was down to 120 over 75 and I felt very good. Much better than when I walked out of the hospital. As time went on my BP actually got so low I started to reduce the meds on my own. It was also during this time I dropped the Plavix and really freaked out my cardiologist. I have always taken aspirin because of my arthritis and after reading a report by the Cleveland Institute I realized that Plavix was nothing more than really expensive aspirin. Plus it caused some bleeding from my stomach. One year and 10 months after the heart stents my arteries are clear and I only take one BP med which is the water pill. My BP averages right around 115 over 70 with a pulse of 80 which has always been a little higher. I have no doubt that the Pauling therapy works and it is cheap! I use a maintenance program now of 2,000 mg of vitamin C, 1,000 mg of L-Lysine and L-Proline. I do take a triple strength Omega 3 fish oil as I refuse to take statins. In closing I honestly feel if I had known about the Pauling therapy 3 years ago I would have never ended up having stents. I just had to tell you about my mother’s improvement because of taking the dosages you suggested. (She stuck with C and Lysine 500 mg 3 times a day and the Super K from the site you sent me). Before starting the regiment I told you she was diagnosed with a leaky heart valve. She also went in for a sleep study and they found her heart stopped 67 times in one hour. She also had to take a nap every single day in addition to using a cane (she’s 81 years old). Well she had to go in for a follow-up sleep study and got the report today… her heart only stopped *ONCE* in an hour!!!! They told her the heart has improved! Two weeks ago she said she hasn’t been taking her naps or using her cane, because she doesn’t feel she needs it! THANK YOU SO MUCH!!! She has an appointment with her cardiologist soon and I can’t wait to hear his/her response! I will let you know. This is truly the BEST NEWS! Owen, the people who gave their experiences in your book were an inspiration. I’ll tell my story as a credit to their bravery. Dec 2009 I suffered an MI, Ambulance blue light and straight into the operating theatre. A Taxus DES was inserted, there is another moderate lesion higher up but that did not warrant stenting (both located in the LAD). I dutifully and gratefully took all my medications : Aspirin 75mg, Clopidogrel 75mg, Bisoprolol 2.5mg, Ramipril 2.5mg, Simvastatin 40mg, GTN spray and the hospital also prescribed 1000mg Omega 3 (Omacor). By the middle of Jan 2010 a decent nights sleep was becoming more elusive. At one point I felt like I was tripping on the NHS, night hallucinations and literally dragging myself out of bed in the morning fatigued and aching. It was then I commenced researching, which culprit is doing this? Hello Statin (cholesterol-lowering drug)! The more I read, the more determined I was to throw it out the window. It went on the bonfire instead. I am repeatedly lectured on why I should take the Statin, try a different make? I stood my ground on not wanting it. The end of January 2010 I started taking COQ10, Vitamin B complex and 3000 mg of Vitamin C. My ramipril dose was also increased from 2.5 mg to 5mg. March I started having problems, life was not very pleasant with dizzy spells and angina. I purchased myself a BP monitor and kept record, my BP would occasional hit the floor . My doc was concerned that there might be something more serious going on and referred me back to the Cardiologist. while waiting for my appointment I sent the Ramipril blood pressure meds to the bonfire, my BP has maintained good levels. Am still experiencing chest pain and pulse rate erratic on exercise though. The Cardiologist wants to do another angiogram to rule out restenosis, my heart sinks, can.t you just change the pills? We agree that I am to be compliant with the Clopidogrel, Aspirin & Bisoprolol. May 2010 Angiogram. The stent is squeaky clean and the other lesion has not increased in size. So, what.s causing this pain? my Cardiologist thinks perhaps it.s artery spasm. So, why is my pulse rate not right on exercise? My Cardiologist does not know, he prescribes nitrates. As my BP has a history of hitting the floor, I am to take before bed and hopefully my BP will be normal during the day….. it did relieve the angina. However, the stonking headache and having to crawl on the floor to go the to the toilet in the middle of the night, another candidate for the bonfire. I then acquire research OCD, finding Linus Pauling.s theory and adopt that as part of my daily regime, still chest pain. I then find this site, order a copy of Owen.s book. An American friend also sends me a copy of Reverse Heart Disease Now. Read about and include Magnesium supplement, now I have died and gone to heaven – chest pain and discomfort reduced to minimal niggle. Life and future is starting to look and feel brighter. My Doc is amazed and came out with the million dollar question .How can I help?. So she went through the supplements available on prescription. I gave her a copy of the books. Oct 2010, I stopped taking the Clopidogrel and commenced Vitamin E. There was another side effect I had been experiencing for several months.. hair loss! I’m a 47 year old female, and my hair was falling out, there were only only 2 culprits left, Aspirin or Bisoprolol? December 2010, I decided to add these to the bonfire too. My hair ceases to eagerly part from my scalp now. I have yet to inform my Doctor of the last drug culling – I have a funny feeling she might just say to me .Have you seen your cardiologist lately?. that.s fine, I’ll give him a copy of the books too. Jan 2011, knee op! Pre admission clinic, nurse having hissy fit over my supplement list declaring that I will have to cease these 2 weeks prior! No, I don.t think so! She then stomps off to find the anaesthetist to instruct me to stop taking them. He kindly smiled and said .The one thing we don.t do enough of is address the cause. I think the establishment just summed it all up in one small sentence. I feel I have quality of life back again. For me personally, thats equal to winning the lottery. In 2001 my wife underwent triple bypass surgery when they placed the bypass graft into left circumflex extension(lcx) between(m1) Marginal branch and (m2) marginal branch. The plaque was between the junction of the LDA,LCX and the M1 however after the graft the plaque began to descend into the m1 instead of being pushed back by the back pressure from the graft. Being fresh out of surgery they were not willing to go back in and they wanted wait a month and do Brachetherapy. I’m Sorry but this is not my idea of good medicine and I set out to find away around it. Being familiar with Pauling.s writings on orthomolecular psychiatry. I pursued it and found a company that based it.s formula on his theories. She began taking it and was set to go along with the radiation. At the procedure, I was ask into the lab area. The doctor came out and asked me, .What did you do to her?. I was kind of shocked and said Nothing just some vitamins Why? He said, It’s all gone! Were not going to do nothing but send her home.. I thought if that stuff did that I’m going to take it too. We both have taken it since! Me (cardiologist): I had a Carotid Artery go up to 30% occlusion and back down to zero about a year and half ago. I was taking the same amount as my wife and that.s when the dosage issue came into play. You can read this at the .It.s the dosage stupid.. Thread. Yes I’ve seen regression of plaque in a short period of time! However it was new forming. Plaque can sit in your arteries for years and harden like concrete and not cause any problems then when it.s discovered they want it gone now! That.s not going to happen it will take time to break the shell and start the healing process in the mean time other places that are starting the process will be healed before it gets out of hand. This being done following the Pauling protocol. As far as Inflammation! Ask yourself these questions. Have I ever had a cut that got inflamed? OR Did I have an inflammation that got cut? (Except by a doctor) Did I get a runny nose and go out in the cold? OR Did I go in the cold and got a runny Nose? Your body response to injury with what Dr. Pauling refers to as a .Cascade of Events!. Inflammation is only one of the events that occur after the injury to the artery. Which Dr Pauling Identified as, .Chronic Scurvy.. Breaking down the collagen that holds the cells together and allowing leakage which the body must stop. Reading your post I would like to ask if you have tried titrating to Bowel Tolerance. Then you would have a good idea how much V-C your body really needs. Everybody.s Different, Everyday.s Different! God Gave us Cholesterol to protect our bodies and our wallets. Big Pharm and Doctors gave us statins to remove the protection from both! disbelief! I’m sure all are grateful, I am! 3. I have taken my Cardio C two times sometimes three times a day since 1996, no statins, ever since the last operation for my atherosclerosis in 1995 and blood clots in the legs. It was four operations later ending with an aorta bypass that was enough for me – Linus Pauling came next and I an eternally grateful for his findings and those of his colleagues, and all who helped to spread his teachings: I have had no problems since I began with Cardio C. Perhaps I should add that I consider it very necessary to add regular exercise, even gentle, to the Therapy; I am myself together with my wife an ardent cyclist. Be assured that before the turkey comes Vitamin C.
For the past 3 years I have written and reported about carotid blockage. Since taking the vitamin C and lysine there was an ultrasound that showed some improvement but I don’t think they have gotten any worse. To refresh memories in Oct 2008 My blood pressure increased dramatically, medications were changed a lot, new ones added and finally after 4-5 months the blood pressure stabilized on one medication. During this time my family doctor sent me to a cardiologist who ordered a CTA. The CTA showed a 70% or greater blockage of the LAD(also called the widow maker) and also 2 other blockages of probable 40 %. That was in March of 2009. Due to the illness and death of my mother and husband the cardiac cath was postponed twice and I just had it done this past Friday. I was sure that I would come out of the hospital with a stent or a bypass. You can imagine my surprise and delight when the cardiologist said the vessels were clear and I have the film to verify it. So I am wondering this. Are the CTA’s that accurate? Or are the continued vitamin c, lysine, proline and other supplements really working which I believe they are. In the past year I have added vitamin D3 5000 IU, unique E, and the vitamin k2, 2 TBSP Carlson’s fish oil to an already good supplement regime. This was truly good news as I have a very remarkable family history of heart disease. I don’t have a carotid ultrasound until August but I expect a good report from that as well. My cardiologist did give me a prescription for a beta blocker(metoprolol ER) which I have not been taking because my blood pressure stays good and pulse rate stays in the 60’s and 70’s. FYI in addition to VCF’s Cardio-C, I have been using turmeric, an enzyme called serrapeptase, COQ10 (ubiquinol), vitamin D, niacin, magnesium, vitamin E and so on. I had a recent stress test (the nuclear medicine one) and my cardiologist was astounded as to the increased blood flow through the heart and that the scar tissue in my heart had decreased from the post heart attack stress test I had about 2 1/2 years ago. He was surprised at the results as he is of the opinion that what I am doing is QUACK MEDICINE. I feel a lot better because of what I am doing however. I would like to order two containers of Cardio-C product from my son who has heart trouble like I do. The product has helped me very much so I hope it will do the same for him. “Owen,On Feb 5th 2007, my Dr. stated the LAD was 97% blocked and the Right Coronary artery was blocked 67%. A medicated stent was implanted in the LAD. On June 26th the Dr. stated the Right Coronary Artery was completely clear and a 10% blockage in the LAD where the stent was implanted. Tower Lab’s Ascorsine-9 Pauling-therapy® receives the credit for clearing the RtC Artery. Thanks for a great product that works. The tests used in determining the % of blockage were Cardiac Catheterization, Coronary and Heart x-rays with a dye injected.” – J.P. C.
A friend of mine who took a stress test a few years ago was stopped before he could finish because the Doctor was alarmed by the EKG read out. I told him about Vitamin C & Lysine. He started taking it and a few months later took another stress test and passed with flying colors. No problems what-so-ever. Again (and I mentioned this in another email) a Doctor friend of mine in California once told me that his grandfather and father both died of a heart attacks in their early fifties. And he, age 39, was suffering from angina when he went jogging. I told him about the Pauling Therapy. A few months later he called me, all excited, telling me that he could now run 3 miles and afterwards ride his bike another 12 miles with no angina whatsoever. Speaking for myself, after having a heart attack in 1999, I always had a problem with angina in cold weather. After I started the Pauling Therapy it stopped. Cold weather does not bother me any more. I’d like to post these testimonies on your web page but I can’t get on — you’ll have to do it. Owen,any ideas with regard to the following? Three years ago I had two heart attacks in two weeks and was advised that a Coronary Artery Bypass Grafting (CABG) was essential. The Right coronary artery was completely blocked. The Left Descending (LAD) was 95% ,LEFT MAIN 30% ,CIRCUMFLEX 70%, etc. I walked away from the CABG and with a few life changes and 15 grams of vitamin c daily. I have finally got off all medication and have to push it to get any angina. After a echo gram they now tell me that I must now have a aerotic valve replacement. I’m using plenty of magnesium but still get bad breathlessness, any ideas would be really appreciated, I hope its not anything to do with the Vitamin C!? The first cardiologist said my heart valves were useless after a echogram and heart murmer and I was unable to catch my breath [not pleasant] and I was told I could drop dead any moment, must have a replacement or repair. How lucky to have found the Vitmin C Foundation on the Net. Thanks to your good advice Owen and comrades re vitamin K2 [menaquinone7], my next appointment six months later an angio photo check on all the four valves and the Cardiologist says nothing wrong at all see you in six months (though I will put a couple of stents in your LAD while I’m here?!) No breathlessness, no angina, no medication , except Aspirin and Plavix for one month. Many thanks again for your advice I’m down to 10 grm on the C protocol daily .I don’t know how many times I can say thanks. In answer to some questions on your forum on how I found out that my heart was clear from plaque. :::: I had a Nuclear Stress test late in 2006 that showed my heart in real distress. The pictures that the test recorded, showed that my heart’s arteries were nearly completely darkened in by plaque. This means that the arteries were all clogged, i.e., getting very little oxygen. My doctor said that I needed a bypass or a stent and must start on statin drugs immediately. I turned it all down. Needless to say he was really worried. I was very sick…couldn’t walk far or fast, out of breath, blue feet…I felt like I was dying. Sooooo I started taking the Linus Pauling cure that I had been reading about… smile… I started feeling better within the first week. Each time I went to see my cardiologist he would comment on how well I was doing. My EKG’s were even getting better. Then I took another Nuclear Stress test in late 2007, which showed my heart to be clear of plaque. Owen, When I saw the Doctor and learned the pain was from inflammation not a blockage I said NO to another stent, there had to be a better alternative. Was I scared, YES but I knew that the Ascorsine-9® from Tower Laboratories had always stopped the angina before, but didn’t understand why it wasn’t this time. I knew I needed help, and you were there for me. Of course, the answer turned out to be adding a whole lot more vitamin C around the clock plus wearing Nitro patches and taking oxygen and becoming friends with the bathroom. I slowly got better and knew I had made the right decision. If the first medical stent was responsible for what was happening to me, then how would putting in two more help? My Doctor wasn’t sure how long the two stents would help, the last one lasted 6 months before I started having problems. It might be just compounding the problem. Well I made it, I am fine NO NITRO PATCHES, NO NITRO PILLS, NO OXYGEN, I have my life back, I feel great and I don’t hurt!!! I truly believe that the Pauling-therapy product is the reason. I wasn’t getting enough in my system and the inflammation flare up due to the medical stent caused my problem. I am so thankful for all your help. My blood pressure is back to being in normal ranges again. 128/70 to 110/66. Read Carol’s amazing case history in the book. Carol’s Saga Continues… Even more testimony after the book was published. Owen, My mother was about to have a bypass surgery in Nov 2007. She was diagnosed with 3 blocked arteries and needed two replacement valves, the mitral and one other. They took an xray of the veins in the neck and the specialist at Staffordshire Hospital said that doing the heart was a waste of time. We found your web sites. She has made a wonderful recovery and now is back in her flat and I am amazed!!!!! She has only had Vitamin C to date. My mum is on about 5 to 6 scoops a day (Tower A-9) and the little scoops are inside the pot. She seems really really well and I am not really believing what I am seeing as the doctors still think she is dying – but no angina attacks and no breathlessness and the sickness was causing by the diabeties tablets metformin – so can I really believe that the vit c clears the arteries – what about the small embolism??? Does this seem too good to be true or does it work!?! Owen, You may want to add to my story in your book. Next month I will be 62 and I feel and look better than I did when I was 50. I am more active than I have been in years. People often tell me how much younger I look than my age. Very soon I will be remarried. My fiancéis not yet 20 years-of-age, we are very much in love and we have been going out for 2 years. She wants to have children, and after months of saying no I have decided to become a start-over-dad at age 62 and plan to live to see my children grow. If a man in the shape that I was in can turn his life around in just a few years, then those who are not on their death bed should be able to achieve even more with vitamin C and a few life changes. Please be advised that we have decided not to become a media attraction. This is my story about the article that describes what I am taking and doing now to stop chest pain and to stop what would be my fifth and possibly my final heart attack. I have already had five heart operations including a quad bypass and various stent operations, none radioactive thank goodness. Although I was doing everything expected of me, i.e., following the Ornish plan which in my case involved being a strict vegetarian (vegan) for five years. (I did all this immediately after my first heart attack and quad bypass in 1995.) I was 41 years old in 1995. I continued to get worse. I suffered three more heart attacks and four more heart operations, the last heart attack (my fourth) and another heart operation ( my fifth) in DEC. of 2003. at that time my doctor.s recommended the possibility of a pacemaker/defibrillator be installed. They did not know what was killing me, but said they would be able to ‘take care of me’ with more operations! I declined to have an ‘operation/test’ that would result in maybe having a pacemaker installed. that was Dec. 2003. Last October of 2005 I did intensive research (on the Internet) to discover what I could do to stay alive. I was having more chest pain and realized I was over due for another heart attack and operation (based on my previous ten years experience). I discovered, or rediscovered what Linus Pauling had to say about heart disease. the ‘powers that be’ did a good job of influencing me to ignore Linus Pauling, describing him as a failing old man with a ‘mental’ problem who had once been a great scientist. they said he was wrong about vitamin C. I believed them. I recently read all of Linus Pauling’s books. I was very impressed and I finally understood my situation. This led me to search for more info on Dr. Rath, etc. I now consider Linus Pauling to be the greatest most significant scientist of this era. He really devoted a big chunk of his life and made the best effort to get the word out about ascorbic acid. Fortunately for mankind he is not alone. Pauling was preceded by great men and women in the study of vitamin C and that work continues with great men and women today. The real issue now is how to get the word out about ascorbic acid. In my opinion Owen Fonorow may be making the greatest effort for this positive change with his website (along with other folks and the folks that post there). I point friends to his site often. I did slowly stop my statins and blood pressure meds etc. back around Nov. 2005. I started ten grams of vitamin C every day spaced out five times during the day about that same time. I felt so much better after a few weeks that I continued my research and the use of C and now follow Owen’s protocol in full: I have not felt this good in over twelve years! I was suffering from angina and a serious blockage to the back of my heart in 1998. I found this web site and I have been on Dr. Paulings Vitamin C & Lysine therapy for around six years now. I wish I had known then what I know now about other things. I’ve had several strokes due to elevated blood pressure and hi blood sugar. Thankfully, these things are under control now. To vindicate my convictions about the ‘Pauling Therapy’, the many (and I might add diverse) Echo Cardiograms have revealed on four different occasions …there are no plaques in my chest, heart or carotid arteries. The last and most comprehensive doppler was what they called a TEE (Transe Esophageal EKG) where a transducer is lowered into the esophagus. Ultrasonic pinging takes very fine pictures of the surrounding vascular system and reveals even minute vascular problems including plaque build-ups of course. Since I’ve been on the Pauling therapy I am walking 2 miles almost every night …cut my front and back yard without taking long breaks (in the Florida heat and humidity). Mind you I’m no spring chicken and I know my limitations (I don’t climb tall buildings, don’t run any marathons, fight or push cars), but I am starting to feel real good and am beginning to be able to do things that someone in good health at my age (55) ought to be able to do … and I know there are guys my age skiing and running marathons …who knows(?) Thank you for the good medicine. Thanks for all the info, I can say that I haven’t felt this good in a long time. I am very worried about the rest of the world who are being led like little lambs to take their statins and devolop all kinds of problems never realizing that its the meds. I plan to check my blood lipids in July will post the results, I am now tolerating 5 gms of C and 5 grams of Lysine, spread over 5 doses a day. My BP is improving and I have to decrease my BP meds to prevent fatigue. I also take 500 mgs of niacin twice a day to improve circulation and it also helps lipids to improve. All the aches, sever tendon pains, loss of flexability are easing off. I thought it was age. The update is as follows — I FEEL TERRIFIC!!!!!!! The chest pains are gone. As well as all the classic symptoms of a heart attack. Weight has come down, cholesterol has come down. I have been on a full exercise regimen and I have had nary a problem or ‘moment’ (mine and Carol’s pet name) The last blood work done, except for what my doctor considered a bit high sugar level, was excellent. Blood Pressure has averaged 110/76 for the last 3 months(the doctor cut the Toprol XL dosage in half), cholesterol no higher then 168 total. HDL is still low at 34 but I have not taken Niacin which was suggested-I figure the longer I exercise it will slowly get back up to a good level. It is so nice to feel whole again! Not having to feel the heart beat, or suffering palpitations that takes your breath away every 5 minutes or so, the tightness, the ‘symptoms’ of a heart attack 24 hrs a day 7 days a week!! I am very grateful for finding Heart Technology, you, and people who have come before me, that tried the product and have had success in regaining their health also! Here’s to continued good health!!!! I really love the (HeartTechnology) product and tell everyone about it. I also have informed my Dr. and he just said “Oh, your heart must have formed a natural by-pass.” He wouldn’t even read the liturature,,,,,,too bad for him and the rest of his patients. I started the 6 g per day of Vitamin C and Lysine, (with the other items, on January 3rd. 2004). After only 3 days and onwards I believed that I was feeling some small benefits, but today, 12th. January, I have been for a brisk walk of approx. 1 mile, (in my lunch break), with some undulation, and I have not suffered any Angina pain. I could not have done this walk, prior to January 3rd. Without considerable angina being noticed, to the point where I would not have considered attempting the exercise. I am absolutely thrilled, and after telling my Wife, Daughter and Son, I felt that I had to tell you, and say thanks. I will continue as recommended and advise again around the end of January. Many, many thanks for you responding to my initial Email. I know that you already must have a mountain of testimonials attesting to the value of the Vitamin “C” and L-Proline L-Lysine therapy, but I am sure you won’t mind reading one from me, since my experience with heart disease may vary from that of many others. My story includes a favorable response to Atrial Fibrillation. Some years ago, I was given an Angioplasty, since one of my arteries was 75% closed. This procedure, improved the standard of my daily life for several months, until it was discovered that my artery had closed again. Another angioplasty was performed, and this time a stent was inserted to hold the artery open. I continued to enjoy life to the full, but a year or two later, my heartbeat became very irregular. I have suffered from high cholesterol (around 270) for many years, and when I took Leschol to improve this condition, I went into Jaundice, and was admitted to hospital for treatment for two weeks. It was subsequently diagnosed that the Leschol, together with a combination of other drugs that I was taking for high blood pressure, was the cause of my jaundice. Eventually, some years later, my irregular heartbeat condition progressed to Atrial Fibrillation, and I was given Sotolol in the hope that this would help with my problem. Subsequently, I underwent a Cardioversion procedure. This put my heart back into sinus rythm for about five months, when it became necessary for me to have another Cardioversion . This in turn lasted for maybe two months, when I was once again, back in Atrial Fibrillation. Since Solotol was no longer helping me, my doctor decided to discontinue its use, and instead, prescribed Amiodarone. A week later, I underwent my third cardioversion, and this time I was in S.R. for no more than an hour, before reverting once again to Atrial Fibrillation. However, within a week , I found that although I was no longer in Fibrillation, my heartbeat was irregular. At this time, I learned of the Pauling/Rath therapy, and began to take around 6-8 grams of vitamin C and 6 grams of Lysine daily. After about six weeks, I still had an irregular heart beat, and so I added L-Proline to my Lysine intake, and within quite a short time period, I discovered that my heart was in S.R.. When it continued in this state for a couple of weeks, I decided to attempt to wean myself off Amiodarone, since I was aware of its proclivity to cause severe side effects. I had started taking 400mg of this drug daily, and over a period of several weeks, slowly reduced its intake, until I was taking only 50mg every second day. Just over a week ago now, I stopped this drug completely, and I am still in S.R. I forgot to mention that after my second cardioversion, it was considered necessary for me to have a pacemaker inserted, since my heart beat had dropped to around 38 bpm. I am now feeling extremely well, and am no longer limited in any way from doing any desired daily activities. I know that I have Dr. Pauling and Dr. Rath to thank for this, and shall be eternally grateful to them. I should add that I am now 80 years of age. Thank you in anticipation of your taking time to read yet another testimonial to the Dr.Pauling/Rath therapy. I felt no significant change. Sept 1st of this year I found the following statement on a web site (can’t remember where but thank GOD!). “Try this – guaranteed to lower cholesterol at least 18% in six weeks.” 6000 mg. Vitamin C, 6000 mg L-Lysine, 200 mg CoQ10. I began taking this combo in addition to the Fish Oil etc. on Sept 12 of this year. I’m not sure if the fish oil regimen in combination with the vit. C made a difference or if it was just the Vitamin C regimen. But, after only two weeks I began feeling like a new person. For the first time in years I wanted to do things that I had to force myself to do only a few days before. I began cleaning, cooking, sewing, working in the yard – just could not figure out how to work everything into each short day. I actually enjoy getting up in the morning. Two scoops Heart Tech in P.M., 2 fish oil capsules. My blood test results from May 2004 and October 2004 follow. (LDL dropped from 203 to 161 and total cholesterol dropped from 290 to 248). I had been off statin drugs for approximately 3 months before each test. The October test was done after being on vitamin C for one month. Both my doctor and I were thrilled about the latest test results, until he discovered that I was not taking any prescription drugs, at which time he said, “You’re playing Russian roulette you know.” Maybe so, but I doubt it. I feel wonderful and the proof is in the puddin. I am age 58. At age 42 I had a triple by-pass after my Left-Anterior Decending coronary artery was found to be 100% blocked. I credit EDTA Chelation with then saving my life. I have started the Pauling Therapy a couple of months ago, now 17 years after the surgery, and so far my angina continues during/after “moderate” exertion, and also when first lying in bed [ usually after a heavy meal ]. But I’m very committed to seeing this Pauling therapy process to at the least a fair [i.e. six tub ] trial. I understand and also believe what I’ve “studied” re: this “stuff” We’ll simply have to wait and see. P.s. I have been taking HeartTechnology along with a high fiber product, and my cholesterol has dropped 100 points. But I am worried that perhaps the fiber has leached onto some of the components in HT. In the future, I will take these products at different times of the day to avoid interference and see whether that improves efficacy for Angina. The Pauling powder as I like to refer to it continues to amaze me. As an 18 year veteran of bypass surgery I confound my doctor with my health. No chest pains whatsoever when using the powder regularly! I’ll say a prayer for my doctor at his funeral. [He’s younger by 8-10 years so I’m safe in saying this!] Go Packers, crush da Bears!! Owen, my mom and dad take the Tower Heart Technology product every day. My dad has all kinds of health problems and requires dialysis. Your product along with a healthier diet has transformed him into a new person. He takes the Tower Pauling-therapy product which contains vitamin C and other goodies. He eats healthier and he has eliminated refined sugar and flour from his diet. He had a quad-bypass a couple years back and then he started on dialysis shortly thereafter. After he started HT, he no longer takes medication for his high blood pressure or for his diabetes. He takes natural supplements for his diabetes. My dad’s tubes that is used for dialysis usually clogs up 2-3 times a year, but he has not had them cleared up ever since he started using Tower Heart Technology. He used to take blood thinner except in dialysis which they administer coumadin, but does not take them anymore. His stomach thanks him too. Aspirin made his stomach bleed. Everyone in the family has caught the flu except for my dad. He eats better and exercises more than my Mom. My mom takes the Tower product too and she no longer takes her meds for high blood pressure. She monitors it everyday and is back in the normal ranges. She is not diabetic though. They have never taken any natural supplements or vitamins until now. I contacted you because I just wanted to know what I buy for my family and the Tower Pauling-therapy product gets and A+ in my BOOK. Good news – surgery avoided on amputated (residual) limb! I had an angioplasty on my amputated residual limb in 2004, and they struggled to carry out the procedure due to the size of my limb/arteries. I was left quite traumatized by the experience. Last June I was told that I needed another and was told to think about it and to come back in 3 months. I searched the Internet until I came across the Vitamin C Foundation’s web site as I thought that I couldn’t keep going through this year after year. I also wondered why my arteries had become blocked again and I was only being treated for the symptoms and not the cause. After following Linus Pauling’s advice, I started taking Vit C, Lysine & Proline last July. I went to see the consultant in September for my ultrasound scan results and he said to my delight that “I think we will leave it for now.” Surgery wasn’t necessary! I went again for another ultrasound this week and was told everything looked normal and I was discharged. I was elated. I was undecided whether or not to tell him what I had been doing as I thought he must be wondering how all is now well, but I’m afraid I chickened out . The main thing is that I have avoided the surgery very very much to my delight. Very Happy Very Happy Very Happy Very Happy Very Happy. I just feel for the rest who don’t know about [Pauling-therapy] but I do sound like a broken record spreading the word. Owen, I HOPE THIS HELPS MAKE YOUR DAY, AS IT DID MINE! This morning I had my follow-up medical interview with my secondary surgeon, having had follow-up EKGs, echo cardiograms, treadmills and the like, it now being 3 l/2 months following my valve replacement, triple bypass adventure. So overwhelmingly positive and normal are the tests that he referred to me as “the cardiovascular surgery poster boy.” Thank you for the Tower Ascorsine. I’ll be going in for major back surgery the 27th of this month. I’ll be laid up for about 3 or 4 weeks flat on my back, no getting up except to go to the bath room. Sound’s great doesn’t it? He was piqued because I haven’t seen him for over 2 years! After starting Heart Technology 🙂 So I had the test done. I used the exercise bicycle instead of the tread mill, because of my back and legs. The doctor couldn’t understand why I didn’t have more cholesterol buildup in my arteries and told me that I had a narrowing in one place of my artery; but under stress it didn’t change at all, so every thing was all right and he OK’d the operation. Excellent therapy. I have been using for over three months and my blood pressure was stabilized at around 125/84 and my cholesteral level also went down. Prior to that my blood pressure was 160/110. I find that consistently using Dr Pauling”s therapy has really helped me. I was using two types of medications for my blood pressure-procardia, 60mg and altace 10 mg. Now, I am using only one tablet, altace. My doctor is pleased with my improvement and told me whatever I am using to continue doing so. Most likely he is planning on taking me off from the altace,10mg. I would recommend to everyone use Pauling’s therapy. I am a member of AARP and I am angry that they have refused to place an AD for Dr Linus Pauling,s therapy. They are all concerned about money and AARP seems to be greedy about money than people’s health. I will write them a strong letter. God bless u my friends to share with the population such a wonderful alternative that really, really works. Great STUFF. My doctor recommended a triple bypass in Aug 2000. I did not have the surgery. I have been on the Pauling Therapy for one year. I have no angina at all and walk an hour a day. I’m a male 46 years old. I started the Pauling Therapy about 1 one year ago. My blood pressure was approximately 125/82. It had been climbing steadily for years. Now my blood pressure is approximately 110/65. I have not done anything else different, but take the Pauling therapy. It has worked for me and I feel fantastic. I just wished more people could learn of this miraculous cure for cardiovascular disease. I ordered a case of the Tower heart technology formula a few months ago after we spoke on the phone. I ordered the product for my husband for his angina chest pain. And his pain was almost nightly after removal of a nitro patch. When he began the product, I asked him to make a note of chest pain and we’ll see how long this product takes to kick in. I am so happy to report that he has not had one chest pain since he began using the product! I am using it, too and the sense of well-being I feel is unbelievable. You ought to sell this as an anti-depressant, not just a heart healthy drink. I also want to report that my husband had stents put in his legs (he was clogging up everywhere) a few months before we discovered your product. The heart technology powder had no adverse effects on the stents. Thank goodness. I have two nieces in high stress situations that resulted in panic attacks and bouts of depression. They have each been using your product for a few weeks and both of them feel better, too. One niece even told me everyone in her office got sick with a cold but her! She attributed it to your product. Finally, they believe me! Since three years ago, I have been a good Heart Technology customer. This product has made me feel better, with a spectacular fall in my cholesterol rates, reduction and improvement in my blood pressure, and in summary I have felt a general improvement of my health. Eduardo Fernandez Perez Madrid, Spain. I have recommended Heart Technology to my friends, one of whom (C. W. S.) has suffered from congestive heart failure for years. He has experienced nothing short of a miracle. After having a thorough examination, his heart specialist informed him that his heart was being healed and asked him what he was doing. My friend left the video and pamphlet including Dr. Pauling’s formula with his doctor. When I saw my friend later he shared his experience with me and he appeared to be the robust, healthy person he was years earlier. His depression was no longer evident and his positive outlook was inspiring. Also, when his wife saw me she ran to me and with a big smile and hug said, “thanks for saving my husband.s life!” That’s quite a reward for just recommending a product to a friend. My father was going down fast about a year after a bypass, when the bottom vessels of the heart started clogging up. With two Nitro patches plus oral nitro, he was barely able to shuffle in the the hospital for cardiac rehab evaluation. He figured there was no point even trying, after seeing what was there, and how bad he was. 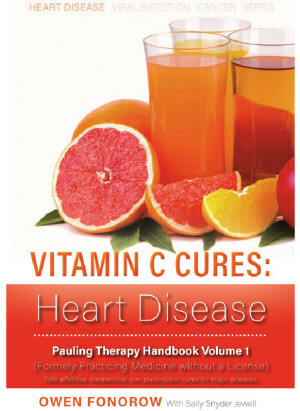 On suggestion by Dr. Robert Cathcart that he look at PaulingTherapy.com, he started taking Lysine, C and Co-enzyme Q 10. In two weeks, he WALKED in, almost a new man. Some two years later, he took the stress test again, and beat the hospital records. Several other doctors are now taking it themselves, but only one has recommended it to his patients. That doctor reported to my father that he had seen another patient barely able to shuffle in, and turned his condition around simply by suggesting that he might try Lysine, as there was nothing else to try. Cardiovascular disease is the silent killer. They say there are no symptoms, but I want to make you aware of MY warning signals. I wear turtlenecks a lot in the winter, and I found it odd that all of a sudden they made me feel claustrophobic . . . like they were choking me and I couldn’t breathe right. I had a FEW dizzy spells but I earmarked them as hunger, which they probably were. The worst was the pounding in my ears. Never during the day, it was always when I’d gone to bed for the night. The pounding was SO loud that I got up out of bed on two different occasions to see who was knocking on my front door. Three weeks later, after a carotid doppler, EEG, EKG, and that test where they go in through the groin with a little camera and die, I went under the knife, and spent nine weeks in hell recuperating. For the first week I couldn’t even lift my head off the pillow and get myself up to use the facilities, without help. I couldn’t shower alone because I couldn’t reach my arms up higher than shoulder level to wash my own hair. This disease SHOULDN’T have happened to me. My CV surgeon says that it must be heredity. (Thank you, Mom)! Now, Heart Tech is working wonderfully for me. As I already told you, I previously had surgery which involved carotid and subclavian artery by-passes because of blockage. They informed me at that time that I would require additional surgery on the other side of my neck, as I also had over 70% blockage there. I started taking the Heart Tech, along with Mannatech’s Ambrotose. Three months ago I went back in for carotid dopplers (ultrasound), also had to do the radioactive treadmill test. They found NO noticeable blockage that would require further surgery, which in essence means . . . the 70% that was already there was reduced to less than 30%, and my heart is in perfect working condition. Tower Heart Technology saved me from the agony of further surgery and recuperation. I have never taken more than one tsp a day and I even go days when I FORGET to take it. Just think how much better I’d be if I weren’t blonde! I also gave a FREE jar to a lady I met with the same problem. She took it for two weeks before she had to go back in for further testing to preclude impending surgery, and they called off that surgery because her condition hadn’t gotten any worse from her test months before. She now buys the product from me, and I feel wonderful, knowing I helped someone else with my knowledge and Heart Technology. This is good stuff, Owen, and I wish I were a better salesman. Please feel free to list my real name, and you can also include my e-mail address in case anyone has questions. I don’t use the word love loosely, but YOU, Owen, have a special place in my heart. You were out there with information and a product that helped save my life. I have been taking 5 grams of C and 3 grams of Lysine daily since March 1996. In February 1993 I suffered a mild heart attack. I feel much better now and have no more chest pains! The good effect was apparent to me in two weeks. I have more energy, depression is gone and I feel like living. Thank you Linus Pauling! I only wish I would have known the treatment sooner. I found it on the Internet shortly after I connected. Hi: my name is Gary Rehs, I’m currently 63 years old. In March 1989, at the age of 49, I was diagnosed with prostate cancer. I was having trouble with high cholesterol (400 ) and high triglycerides (600). Then, in January 1991 I had a major heart attack. After my release from the hospital, the following Tuesday morning I began having another attack. I had been scheduled for an angiogram but at that point the doctors realized that I needed to be transferred to a hospital that could do angiplasty. That afternoon an ambulance took me to one of the best heart hospitals in the nation. Emergency angiplasty was performed that evening. I was admitted to the hospital again and another angioplasty was performed that following Tuesday, exactly one week after the first angioplasty. The night before my scheduled release from the hospital I began having minor heart attacks. I had to be slotted into a surgical bypass waiting list. While waiting, I kept having minor heart attacks. It got so bad at times that the emergency cardiac team, paddles and all stood at my bedside until the attack subsided. The surgery (double bypass) was a success. I was released from the hospital within seven days of surgery. In December 1995 I had another heart attack, my cholesterol was still (300) and my triglycerides were (425) at that time. I had to have another angioplasty. The doctors could only find one bypass working. They were surprised to learn that one of the bypasses had atrophied and that the vein that was bypass had opened up. In fact, the doctor kept asking me if I was sure I had double bypass surgery. He said this was due to my continued exercise and low fat diet. I was again sent home with more Medicine. In June of 2000 I had another heart attack, I was admitted to the hospital (ICU) unit. I was then told I needed three stents implanted two in the (R C A area) 1-4.0 x 18 M M and 1-3.5 x 23 M M. I was told that I would have to come back for the third stent in three or four months, as it was too dangerous to perform that many at one time. I returned to the hospital in September because of severe chest pains. Scar tissue had caused some blockage. The doctors then implanted the third stent and cleaned out the artery with a special cutting tool (rotor-rooter). The doctor said I might have to come back down the road because of possibility of scar tissue build up. In between June and September time frame while at my local health food store. I began explaining my situation (I was running out of options) and the owner suggested a new product which he had justed recently stock. He told me that one of his customers; a heart patient bought a whole case. This customer told him, that he had to have angioplasty every six months or so. His customer told him that he hasn’t been back to see his cardiologists in over a year now. He didn’t have any chest pains and his health had greatly improved. I asked him what the product was. He told me the product was based on a formula of Dr. Linus Pauling. The product was called Tower Heart Formula. I purchased my first jar and three weeks later I purchased My second jar and so on. It was the first part of December 2000, that I decided to look up Linus Pauling on the internet because I was having trouble getting Towers Heart Formula. The store couldn’t keep it in stock. That’s when I found Tower’s web page. I decided to sign up for the auto ship program and a distributorship. On December 18, 2000, I started with tightness in my chest and thought I might have a build-up of scar tissue starting. I was then scheduled for an angiogram. The angiogram proved negative, no scar tissue, no blockage, and everything looked good. I think it must have been a case of nerves or a slight case of indigestion, not sure; but it sure wasn’t Heart trouble! Thank GOD! I waited a few months to make sure the Towers Heart Formula was working for me. I then decided to spread the good news. It’s working. As of this present time, September 1, 2001, I am free of chest pains. My cholesterol is 245. My triglycerides 176. My LP(a) 10. My sugar ranges between 99 – 130. I take no medicine for Diabetes. I take no Heart medicine, no zorcor, tricor, toprol, micardis, microzide, amaryl and actos. My blood pressure is down from 170/95 to 142/82 . I’m still mending and improving every day with GOD’S and Towers help, I’m going to make it! I’m proud to be part of the Towers family and to Linus Pauling (if you’re looking down) a big thank you. While 2 scoops a day of (Tower) Ascorsine-9 have been my tolerance limit, I have to say that there is a spring in my step already. For the past eight months I have not accompanied my wife on our usual walk before breakfast because that would flatten me for the rest of the day. Now I can walk with her, and not like a ‘little old man’ and it doesn’t wreck the day. I also walk about 5km later and now I can do that far easier, and with a bit of drive without resenting having to walk just to keep fit. My history. Twelve years ago I had a double bypass operation to deal with major blockages of the cardiac arteries. I began taking statins about six months earlier after the first consultation with the cardiologist. Within a month of the operation I became quite weak and a blood test showed that almost every blood component was far below normal; for example I had hardly any testosterone and no iron stores. Iron supplements fixed the iron within a few weeks. Over the past eight years I have complained of a lack of energy, and eventually breathing difficulties when walking and bending to pick things up off the floor. I could still manage to walk 9km about four times a week on flat ground. In late January – February this year I had what were eventually categorised as mild heart attacks. An angiogram showed the heart was the same as before the bypass, and the third artery which didn’t figure in the bypass (it is behind the heart) is blocked as are the extremities of the other arteries. The opinion was that there was no surgical action as a practical option. Given that I had taken statins for almost 13 years I figured I had nothing to lose by stopping. I considered a number of options such as HT and here I am. Since the bypass I have described my condition as mostly dead, and I have revised that since stopping the statins. What is strange is that the prevailing medical opinion was that there must be an underlying cause, and none sought that cause. My late daughter had a congenital heart defect – Eisenmenger’s Complex- a hole in the heart and pulmonary hypertension. I have a similar but smaller hole in my heart and a leaky valve which she apparently inherited from me. The Cardiologist does not think these are the source of my condition. Whatever, I think I am on track now. You may want to know that I put my uncle on the formula a mere 10 days ago and his cardiologist did an EKG and called him up, excitedly, telling him that it looked as if he had never even had a heart attack (He has had 3!!!). His doctor told him to continue doing whatever it was he was doing. Needless to say, we are all very excited to hear that!!! I am extremely grateful for all the help you have given us over the past few months. Tower Heart Technology has proven to be almost miraculous in my grandmother’s recovery, so much so that even her cardiologist couldn’t believe her progress! To remind you, my grandmother recently suffered from a stroke. She has been taking Heart Technology for a number of months now (just one jar/month) and recently visited her cardiologist. You will be happy to hear that he cannot believe how well she has recovered so far! Basically, he doesn’t understand how she was able to make such a recovery. I don’t know the whole story, but I believe she had a partially blocked carotid artery and the first time she visited 6 months ago he gave her 3 options for operations of varying degrees of effectiveness and success (and survival). There was, however a 4th option, and that was that if she returned in 6 months’ time (ie: this last visit) with a distinct improvement, she would not need an operation. No need to say that she can comfortably opt for the 4th option now! She has no doubt in her mind that it was caused, at least in the majority, by your Heart Technology product, so she and her family wish to thank you and your company for helping her. Owen, with the results of my last blood test Lp(a) down to 15, I’m cutting back to 1 TBLSPN/day. Continue to feel great!